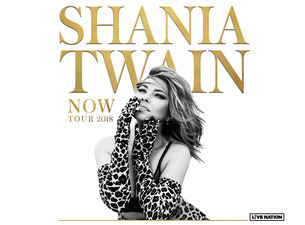 The world's top-selling female country artist of all time, SHANIA TWAIN, is coming to New Zealand for the first time ever this Dec! Shania Twain, OC is a Canadian singer and songwriter. She has sold over 100 million records, making her the best-selling female artist in country music history and among the best-selling music artists of all time. The Man, I Feel Like A Woman singer will perform in Auckland and Dunedin at the end of this year as part of her Now world tour. Note concert tickets are not included.